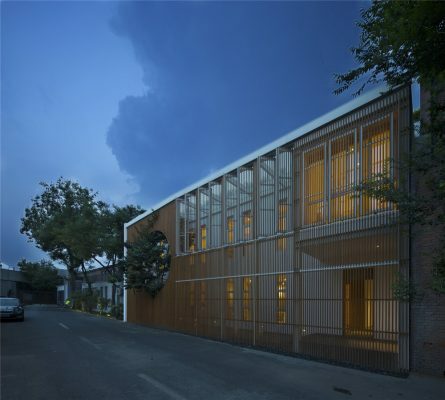 This is a factory renovation project. Rebuilt into an office in its latest renovation, the old factory experienced several times of renovation after its construction in 1970s. Unlike other factories with large space, the factory doesn’t have a big space span while the height is normal showing no special features. However, a 100 square meters backyard is quite impressive. 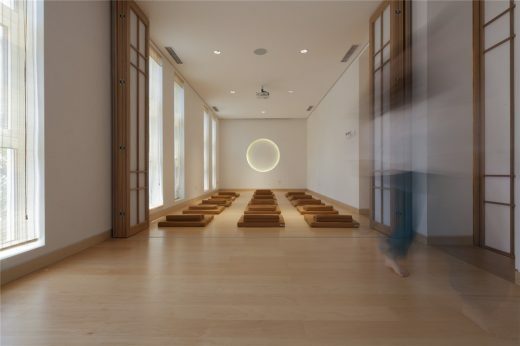 Based on the owner’s requirement, designers need to reconstruct it into a Zen Chamber. 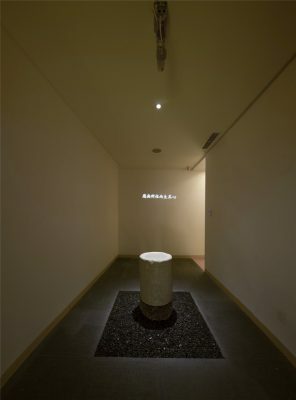 As a Zen Chamber, it should have the Eastern spirit and ancient concept. Certainly, the ancient concept is not a simple display of traditional symbols. 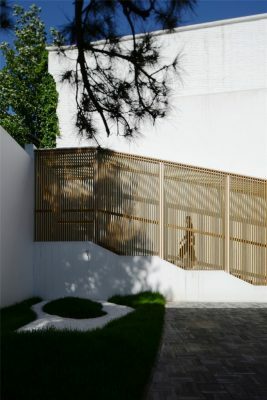 This design wishes to convey the essence of the Chinese private gardens, such as “seeing a bigger picture from small matters” and “the path winds through high peaks”. The core of the design is restructuring the circulation of the space. Designers gave up the simple layout of the existing circulation space with hanging stairs directly attached to its entrance. 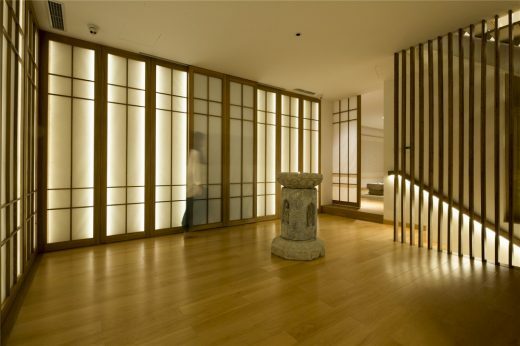 The design creates a longer circulation for people to calm down when entering the main space in the philosophy of Zen Tea. An extra-long, zigzag path is made: people can enter the building from the west side after passing through a long and narrow semi-outdoor corridor. They will enter the backyard after turning to the north and walking through the entire Zen Chamber. Architect added a folded stairs in this area, located between the long ramp and paralleled stairs. People will see the inner courtyard and a big tearoom through the grating racks while stepping up the stairs. Then they can reach to the second floor through a long, narrow, and closed space. 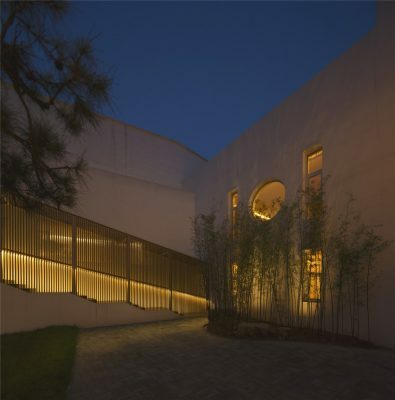 The second floor is served as the main public space of the building, including a Guqin (a representative instrument of traditional Chinese musical culture) room, small tearooms, meditation room and a large tearoom. 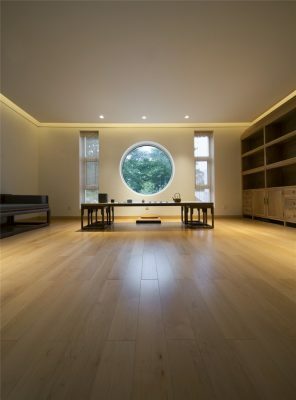 The changing rhythm of the brightness is another key of renovation. 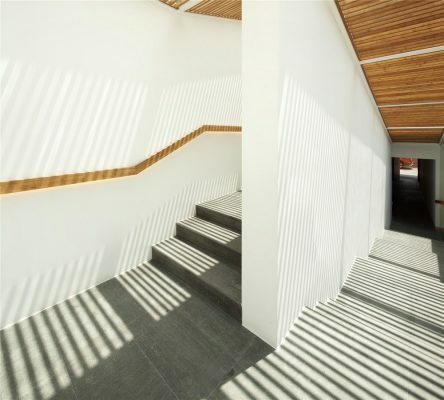 Around the inner court, the newly created space changes its appearance between the natural light and the artificial light arranging the transparent, semi-transparent and close-up visual effects. 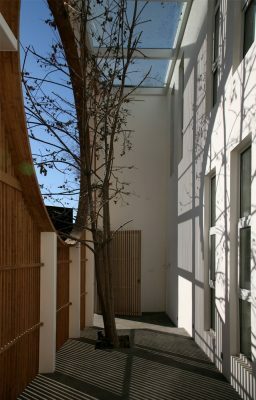 After entering the building, people could enjoy the courtyard in different time and different perspectives, and vice versa, which is also a practice of sampling the Chinese garden.